The charming and hilarious musical sci-fi spoof, Little Shop of Horrors, is heading out on tour around the UK later this year and will play in Glasgow’s Theatre Royal in November! Little Shop of Horrors is heading out on tour around the UK later this year and will play in Glasgow’s Theatre Royal from the 14th until the 19th November 2016! Little Shop of Horrors is a charming, kooky and hilarious 1950s musical sci-fi spoof. One of the longest-running off-Broadway shows of all time, this affectionate spoof of 1950s sci-fi movies has become a household name. 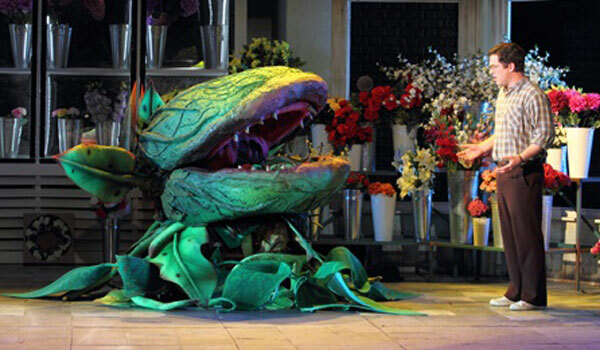 Charming, tuneful and hilarious, with tongue planted firmly in cheek, Little Shop of Horrors never fails to entertain. Presented by Sell a Door Theatre Company who have previous toured critically acclaimed productions of Avenue Q, The History Boys, American Idiot and Seussical the Musical.